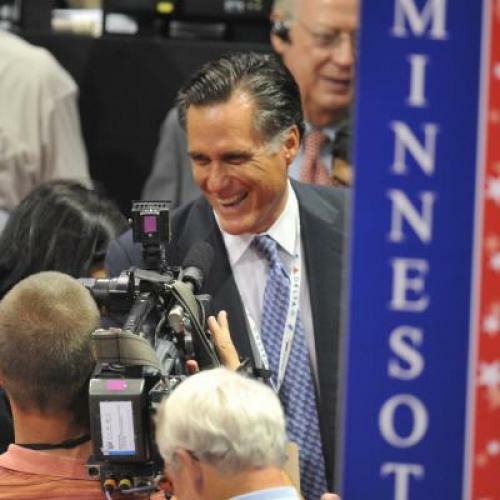 Is Minnesota the Newest Swing State? Why isn’t Minnesota a swing state? The state voted for Obama by just 10 percent in 2010—closer than Pennsylvania, Nevada, Wisconsin, and Michigan, and quite comparable to New Hampshire and Iowa. The demographics would seem to advantage Romney in an overwhelmingly white state where Democrats depend on a strong performance among rural voters. Yes, the Minnesota Republican Party is a disaster, but the Romney campaign has the money to build infrastructure, and that doesn’t explain why the polls show Obama with a big advantage. But over the last few weeks, there are a few signs that Minnesota might be inching towards competitiveness. First, Romney-aligned super PAC Americans for Prosperity went on the airwaves in Minnesota. They haven’t carpet bombed the state, but they invested as much in Minnesota as the other battlegrounds. Last night, SurveyUSA released a poll showing Obama up by just 6 percentage points in the North Star State, down from a 14 point advantage in May. The polls are not entirely comparable, since they switched to a likely voter model and included the option of “other,” a choice selected by 7 percent of Minnesota voters, including 14 percent of moderates—a category where Democrats traditionally do quite well. But even so, Obama was at just 46 percent of the vote and the large number of voters who preferred “other” are presumably open to alternatives to the President, even if they haven’t embraced Romney. Without converting states like Wisconsin or Minnesota into true toss-ups, Romney’s electoral map is unimpressive. Obama is historically weak among whites, but that hasn't translated into historic weakness in overwhelmingly white states that lean Democratic, like Minnesota, Wisconsin, Oregon, or Michigan. At the same time, Obama has translated his strengths into real electoral opportunities in the Mid-Atlantic and Southwest. For the moment, Obama has the benefits of his “new coalition” without suffering the costs, but perhaps today’s SurveyUSA poll is a sign that's changing.